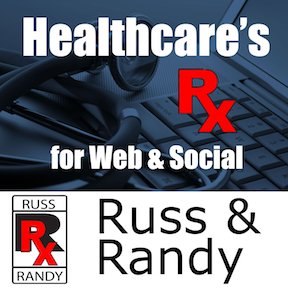 Russ and Randy Podcast | Healthcare's Prescription for Web & Social: Distracted Patients or Different Learners? 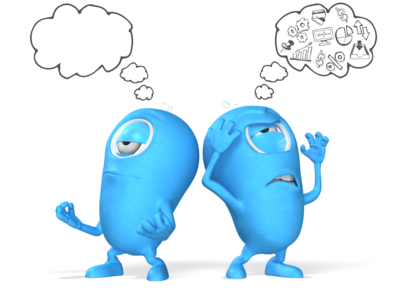 In this episode, Russ and I talk about the different ways our patients and listeners learn. We discuss Google, YouTube and podcasts and how they differ by the different types of content they provide. Google is the largest search engine in the world. Most content on the Internet is in the form of text, that is, you have to read articles posted on websites. Youtube, the second largest search engine, produces video content. To consume videos, you listen and watch. Podcasting has exploded over the past few years (hence, "RussandRandy"). Upwards of 20% of adults have listened to a podcast within the last 30 days according to Edison Research. You can listen to a podcast anywhere. One explanation of the popularity of these platforms is that we are all different learners. We all have a preference for learning a certain way. If you like to read, you search Google. You like to watch content, go to YouTube. Because you are here, you must like to listen to your content. Russ and I have different ways of learning. This may have influenced us in our career choices, who knows? Having a preference for particular types of media must even influence which social media platforms we choose to communicate with one another. For marketing purposes, text is still preferred because text (your website) can be optimized and ranked better compared to video or audio. There are no great ways to yet optimize, index and rank audio and visual content. As you get more proficient with your website, you may choose to re-purpose your content on YouTube or even start a podcast! We'll be talking about "re-purposing" in an upcoming episode. Producing content on various media platforms will broaden your audience. At the same time, however, you want to be producing content tailored to your patient demographic. Give them content in a form they prefer. Don't know what they like? Ask them! If you have questions or comments, please email us or visit RussandRandy.com. Please find us on iTunes and subscribe to either the podcast or here to receive our latest episodes.